Stay tuned for upcoming events for Pakistan Culinary Championship in near future. Pakistan International Culinary Championship 2018 will be contested from 9th to 11th March 2018 at Alhamra Cultural Complex near Gaddafi Stadium, Lahore. It is organized by College of Tourism & Hotel Management (COTHM) Pakistan & Dubai in collaboration with Topaz Communications (Pvt.) Ltd. with some other industry leaders on-board. Pakistan Culinary Championship 2016 was the inaugural edition of this competition. Pakistan International Culinary Championship is aimed at promoting Pakistani Cuisine, unfolding the potential of our hospitality industry and discovering the innovation, creativity and style of our professional chefs. 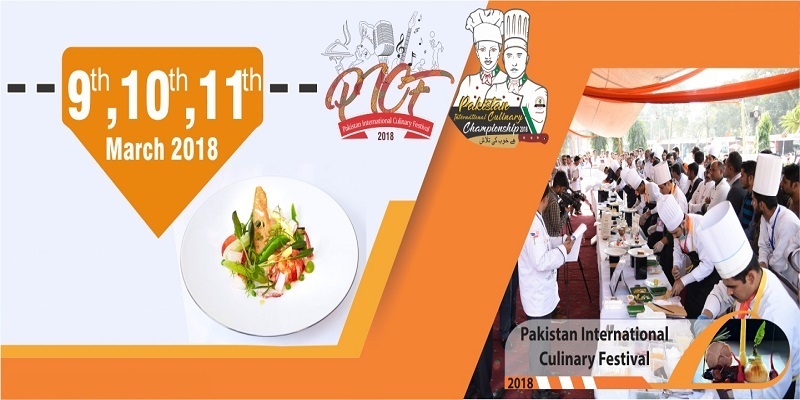 The objectives of Pakistan Culinary Championship include exploring talent of professional chefs in the HORECA sector of Pakistan; promoting Pakistani Cuisine and the food industry of Pakistan; inspiring chefs to achieve excellence in their profession; developing leadership abilities in our chefs; and also to uplift the quality standards in the food production, food safety and hygiene. The platform of Pakistan International Culinary Championship provides exposure to chefs of the nature and kind of international culinary competitions, and prepare them for future culinary competitions abroad. College of Tourism & Hotel Management (COTHM) Pakistan & Dubai is the leading International Hotel School. COTHM International is committed to upholding standards of excellence in Hospitality, Culinary Arts, Travel and Tourism Management education and training. It has countrywide network of hotel schools in Pakistan and its latest branch has opened up in Dubai, UAE. COTHM also imparts a wide range of Hospitality Skills Training Programs of Technical & Vocational Education & Training (TVET) stream. Terms & Conditions : Organizer reserves the right of admission to the venue and event. No refund is possible. Only one time entry is allowed. Best Viewed at 1024 x 768 pixels and above. This Page loaded in 0.06664 seconds on Tue, Apr 23, 2019 (20:56).